At the end of 2017, Facebook changes their login policy. As a result, Facebook login failes with message like beow. To fix, follow the instructions below. Reconfirm Facebook app’s setting. Requirements are below. If facebook login has been working on your site, this couldn’t be nesessary. 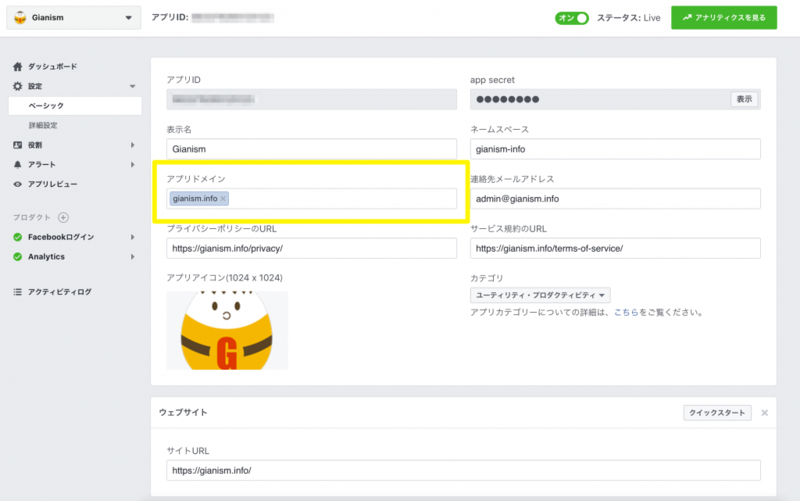 In app setting page, go to “App > Setting > Basic” and check if domain is propery set. App domain should be filled for working sites. On screeen “Product > Facebook Login > Setting”, Set URI which you can get on Gianism setting screen as Valid OAuth Redirect URIs. 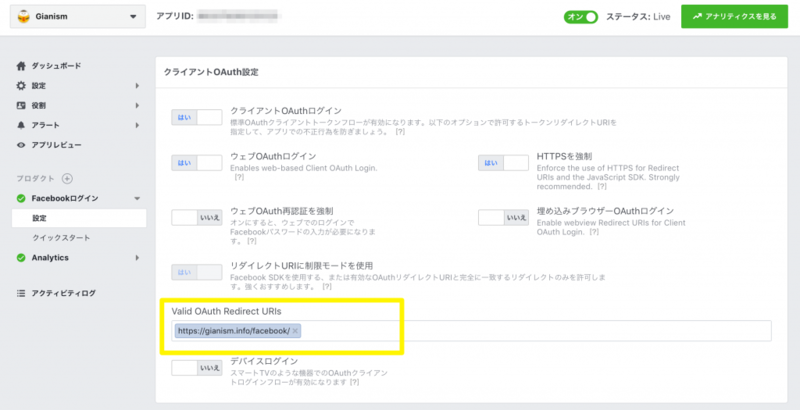 Valid OAuth Redirect URIs are now required. You can get one at Gianism setting screen. 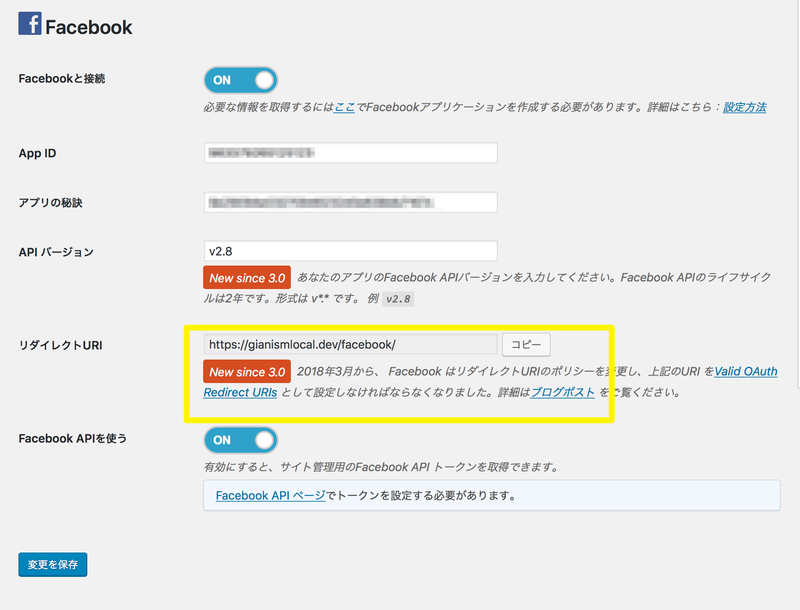 After following the insructions above, you can login via facebook as before. F.Y.I, you may face type of errors. You get error on Facebook ＝ Facebook setting is wrong. You get error on WordPress ＝ Gianism is old.